What happens if I ingest Oralbalance? Oralbalance is perfectly safe to swallow as it is made up of naturally occurring salivary enzymes. If I am allergic to artificial sweeteners can I still use Oralbalance? Of course! This product is sweetened with Xylitol and this is a substance that is actually produced by the body during normal metabolism. Can I use Oralbalance if I am on other medications? Yes ! This product will not interact adversely with any medications you may be currently taking. 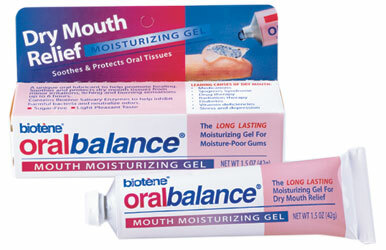 How do you apply Oralbalance? You can apply one inch of Oralbalance with your finger or a sterile swab. How long can Oralbalance last? Oralbalance can lubricate and maintain moisture for up to eight hours.